The Wii U, like its predecessor, has been the source of some intriguing and innovative software, and Underground from Dutch developer Grendel Games may join the list. It's software that has been developed "to help surgeons train their laparoscopic surgery motor skills" through controlling the game with special controllers that will be available separately to the medical industry, but it'll also arrive as a standard eShop title; it's coming soon, too, with the release in Europe confirmed for 8th January — the price in euros is currently set for €19.99. The core concept revolves around solving environmental puzzles with control over two separate robotic arms, which will be controlled using two analogue sticks. As part of the storyline you explore a variety of areas and build your way out of the mine, seemingly with freedom in how you approach the challenge, while there'll also be boss fights. Below is some information from the developer. 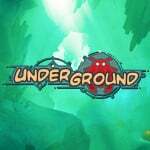 Underground is a challenging and seriously fun puzzle game by Grendel Games. Created especially for the Nintendo Wii U, the award winning game features a heartwarming storyline about a little girl named Sari and Sw4nk, her butler robot friend. When Sw4nk does an unsatisfying job, Sari’s father sends him away to work in the mines. Sari goes against her fathers will and tries to break him out. 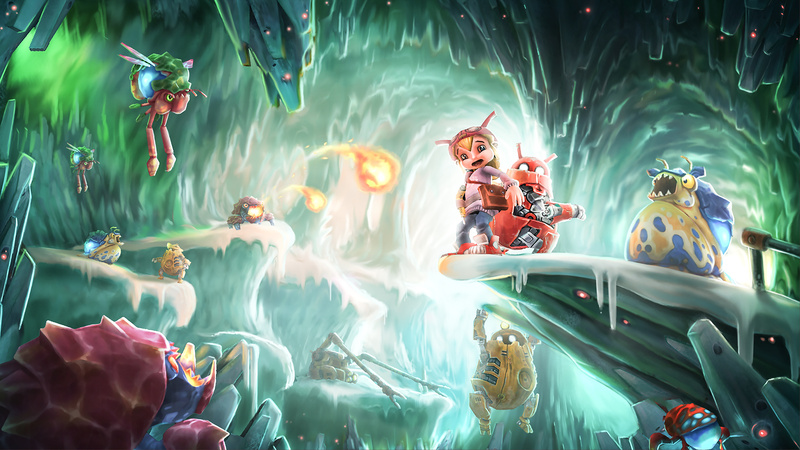 While traveling through the underground caverns, Sari and the robots get themselves into a world of trouble and it's up to you to help them out of their predicament. During their quest for safety you will be presented with challenging situations in four unique worlds; each with their own threats and opportunities. Discover all the different building blocks and build your way up to the surface in this charming game about friendship, robots and a little girl who loves to dance. Other promised features include a fully orchestrated soundtrack, and it'll be intriguing to see how an educational but clearly detailed tool for teaching surgeons will fit on the Wii U eShop as a gaming experience. We'll learn more about this soon — though confirmed for 8th January in Europe, there's no fixed date as yet for North America. You can check out a host of screens and information on our game page or in the screenshot gallery below — are you intrigued by this one? I'll keep my eyes on this one. Looks interesting. Go Dutch! The art style doesnt appeal to me at all. i wish Atlus and some of the other big companies would port some of the amazing adventure /rpg games across that are arriving on the 3DS. How strange, hopefully it will be good! I've got a big enough back log of games as it is! Don't know what this is about. No commercial, no trailer. It's like straight outta the underground. Need more info. A new concept? Laparoscopic surgery? Exclusively for Wii U? Well, sounds intriguing indeed. Hope it's worth it because there is no other indie game priced at 19.99€.